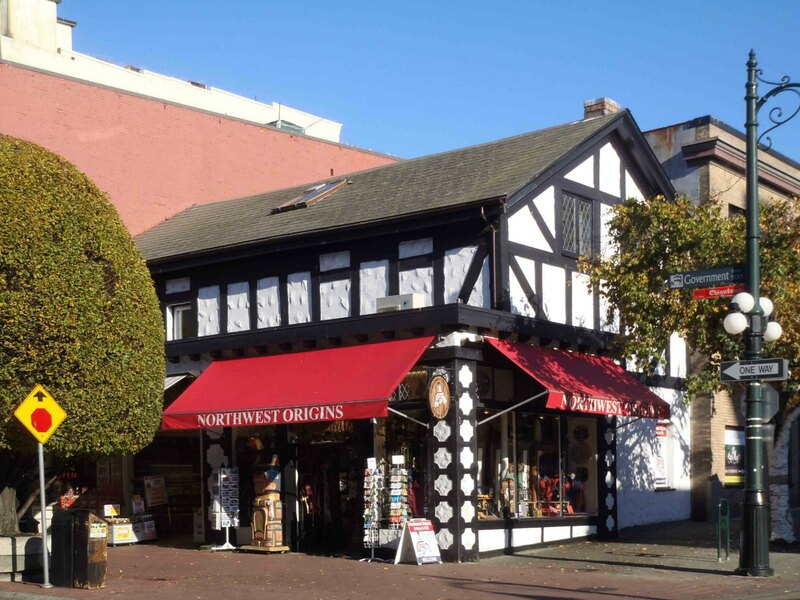 This small building at 901-905 Government Street is a significant place in Victoria’s architectural history. It was built in 1858 as Victoria’s first brick hotel. It is listed on the Canadian Register of Historic Places as the Victoria Hotel. This building was legally consolidated with the adjacent building at 602-620 Courtney Street in 1913. 905-909 Government Street. Built in 1858 for George Richardson as the first brick hotel in Victoria. This building was legally consolidated with the adjacent building at 602-620 Courtney Street in 1913. 901-905 Government Street is legally amalgamated with the adjacent building at 600-610 Courtney Street, which was built in 1913 by hotelier Stephen Jones.